At eTollFree we have one of the easiest to use Call Center softwares in the industry. It’s an all in one CRM Call Center software solution that uses algorithms to find when your agents will be available and dials out to get someone on the phone when they are. Our Contact Center Software at eTollFree is one of a kind. It’s a web based predictive dialer that tracks your agents average talk times, and uses algorithms to predict when an agent will be available. This helps reduce the time your agents are spending dialing answerless phone calls and helps make sure they are using their time talking to your customers. The call center dialer helps you boost your agents productivity by over 300% once properly implemented. Try out eTollFree’s call center software solutions today for free! We at eTollFree believe we have one of the best call center softwares in the telemarketing dialer system industry. With the simplicity of use for our users, and ability to track real time stats that let you know about your teams performance numbers, it’s a no brainer for any telemarketing agency. Virtual call center’s are becoming more and more popular in this ever automating world. Try out our phone dialer software today. 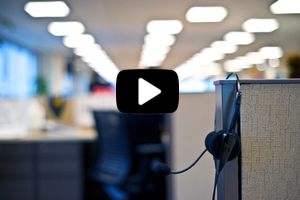 Don’t miss out, try a free demo of our inbound and outbound call center software today! Our Call Center Predictive Dialer is a cloud based auto dialer that uses sophisticated equations to find when your call center agents will be free and making sure there’s someone on the line ready to talk to them when they are. It calculates how long an average call lasts and only dials out when it knows theres about to be an agent free to take the call. With technology growing quicker and quicker many companies are turning to using a Voip Dialer straight from their mobile phone. The good news is eTollFree offers that solution as well. Check out our Voip Phones page for more information on how we can help you succeed from your mobile device.